The MCQ Gas Blender 100 Series is the solution from MCQ Instruments for MICROFLOW gas mixing and gas dilution problems. 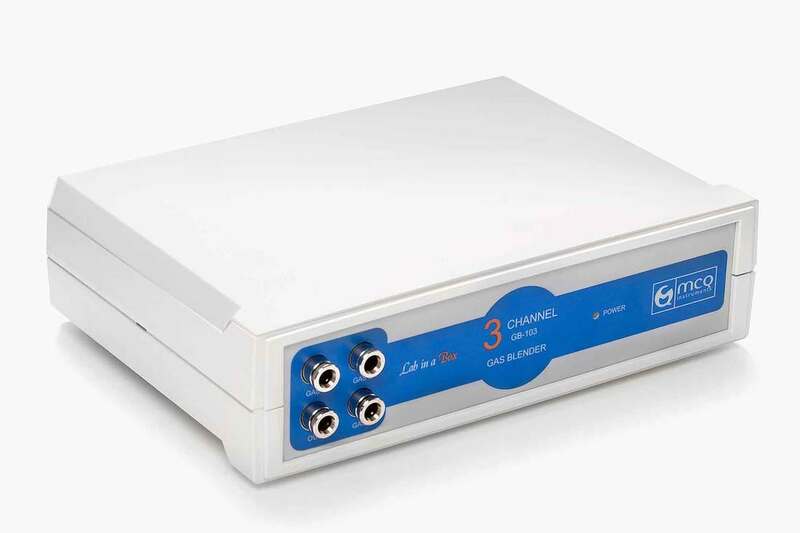 Instead of multi-channel solution using mass flow controller and external power supply and readout, MCQ Instruments proposes a three-channels solution in a compact box at a very convenient price (Lab in a Box). Easy to install, to set, and to use, it is the fastest instrument on the market. MCQ Gas Blender 100 Series is shipped with our Mixture Creator Software that allows to manage the mixing process by intervening directly on the single channel to modify and control the final blending or the final dynamic dilution. It also allows the management of each channel to define the input gas type provided from your own cylinder. MCQ Gas Blender 100 Series is easy to install and use. You will only need a laptop or a desktop computer to connect the instrument via a simple USB connection. An easy push-in tube fittings system will allow you to connect your cylinders to the instrument and the output to lead your final mixture into your system. MCQ Instruments - Gas Blenders - Commercial from MCQ Instruments on Vimeo.